Kevin Rowland (born 17 August 1953) is an English singer-songwriter of Irish descent and frontman for the pop band Dexys Midnight Runners (currently called Dexys), which had several hits in the early 1980s, the most notable being "Geno" and "Come On Eileen", both of which reached number one on the UK Singles Chart. Rowland was born in Wednesfield, Wolverhampton, England on 17 August 1953 to Irish parents from Crossmolina, Co. Mayo, Ireland, and he lived for three years in Ireland between the ages of one and four before returning to Wolverhampton. The family moved to Harrow when he was 11 years old and he left school at the age of 15. His first group, Lucy & the Lovers, were influenced by Roxy Music and turned out to be short-lived. His next project, punk rock act the Killjoys, were slightly more successful, releasing the single "Johnny Won't Get To Heaven" in 1977. Alienated by the punk scene, Rowland, together with Killjoys guitarist Kevin Archer, decided to form a new soul-influenced group, Dexys Midnight Runners. Many of the group's songs were inspired by Rowland's Irish ancestry and were recognisable through Rowland's idiosyncratic vocal style. On forming the band Rowland thought it was "important to have a vocal style", he later recalled, "and I had the idea of putting that 'crying' voice on", partly inspired by General Johnson of Chairmen of the Board. When Dexys disbanded in 1987, Rowland recorded a solo album, The Wanderer, which, together with its three singles, was a commercial failure. His next release was not until 1999 when he recorded a collection of interpretations of classic songs called My Beauty, the album cover of which depicted a heavily made-up Rowland in a dress and women's lingerie. In 2003, Rowland reformed Dexys Midnight Runners—featuring only one other original member, bassist Pete Williams, who fulfilled the role as Rowland's co-vocalist—and embarked on a successful comeback tour backed up with a greatest hits compilation album including two newly recorded songs, "Manhood" and "My Life in England". Both of these new songs were radio tested by the record label, but neither received enough airplay to be considered for release. 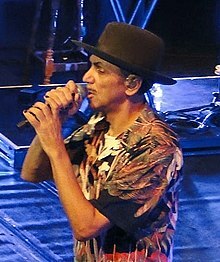 In 2012 Rowland re-launched Dexys Midnight Runners as "Dexys" with a new album One Day I'm Going to Soar accompanied by a UK tour. Rowland has always identified strongly with his Irish background and in 2016 Dexys released their fifth album, Let The Record Show: Dexys Do Irish And Country Soul, featuring interpretations of Irish folk songs such as "Women Of Ireland" and "Carrickfergus", among others. Since around 2005, Rowland has hosted a popular DJ tour in clubs and venues throughout the UK. His eclectic set includes his personal favorites, vintage soul and pop numbers from such notables as T-Rex, Roxy Music, and Harold Melvin and the Blue Notes. According to Paul Moody in Uncut in 2007, "Rowland—as singer and songwriter with Dexys Midnight Runners—gave us some of the great pop moments. From the bolshy vision of Searching for the Young Soul Rebels through the celtic-gumbo of Too-Rye-Ay and '85's neglected masterpiece, Don't Stand Me Down, his is a towering contribution to British music, both visually and musically." ^ Michaels, Sean (13 February 2012). "Dexys Midnight Runners to release first new album in 27 years". The Guardian. Retrieved 14 August 2015. ^ Simpson, Dave (24 August 2007). "Interview: Kevin Rowland and The Proclaimers". The Guardian. Retrieved 14 August 2015. ^ "Dexys' Kevin Rowland talks to The Works Presents". RTE News. 7 October 2016. ^ Thomson, Gordon (2 November 2003). "My team: Kevin Rowland on Wolverhampton Wanderers". The Observer. Retrieved 14 August 2015. ^ Haslam, Dave (March 2010). "Kevin Rowland interview". davehaslam.com. Retrieved 14 August 2015. ^ "DJ Kevin Rowland: Man Of Many Hats: Star and Garter, Manchester - live review - Louder Than War". Louder Than War. 24 May 2015. Retrieved 7 October 2018. ^ Moody, Paul, Uncut, March 2007, p.10. ^ "Chart Stats - Kevin Rowland". chartstats.com. Retrieved 16 December 2010. "Keep It Part Two (Inferiority Part One)"
"Let's Get this Straight (From the Start)"
"This is What She's Like"
This page was last edited on 31 March 2019, at 02:23 (UTC).